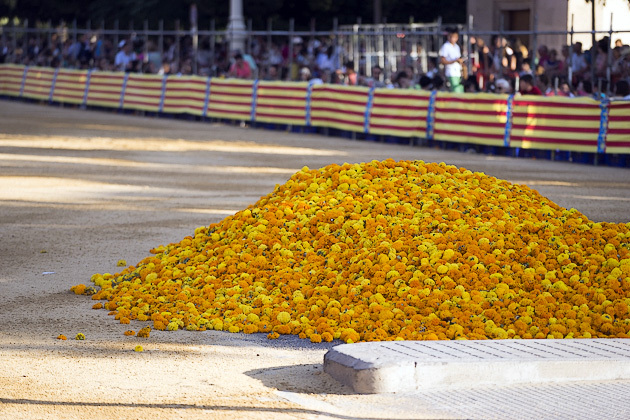 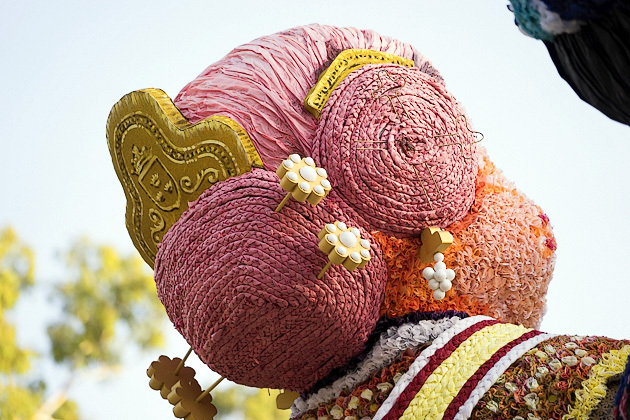 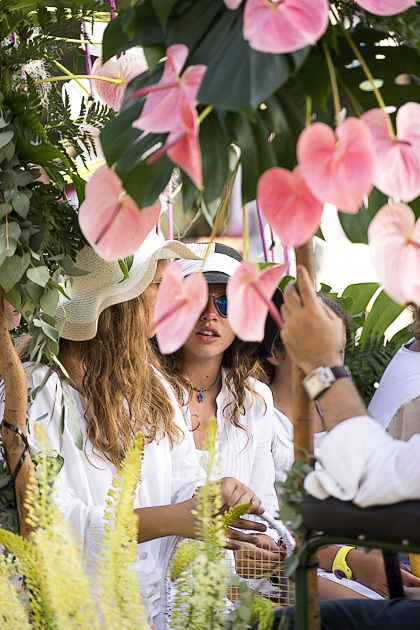 The Batalla de Flores is easily one of the stranger events on the Valencian calendar. 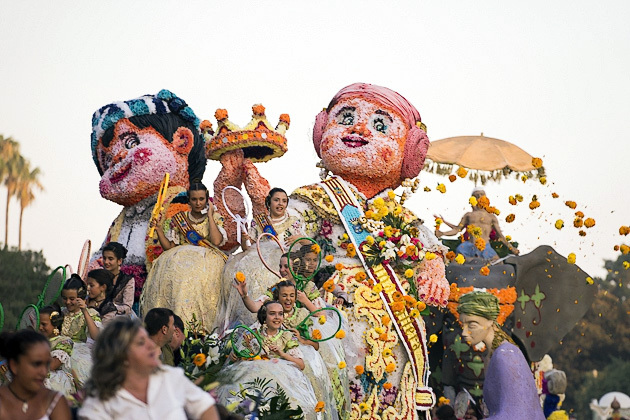 Over twenty elaborately-decorated floats parade around a short section of the Paseo de Alameda, most of them carrying a nervous-looking group of falleras. 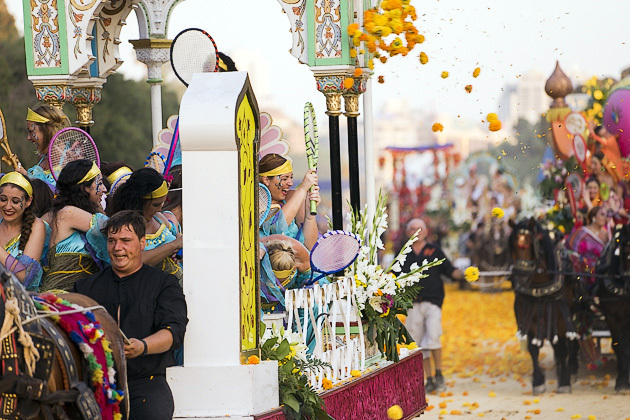 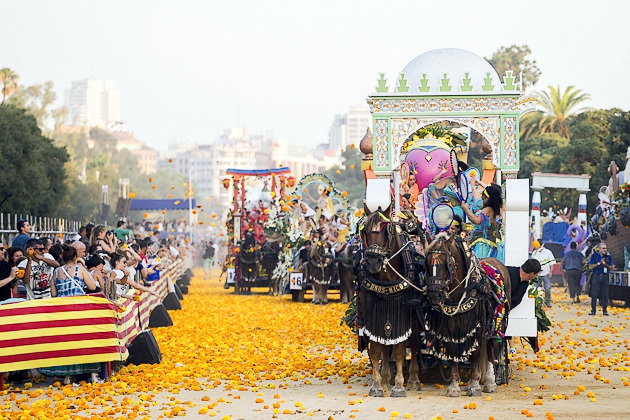 During the first loop, the floats are scored by a panel of judges. 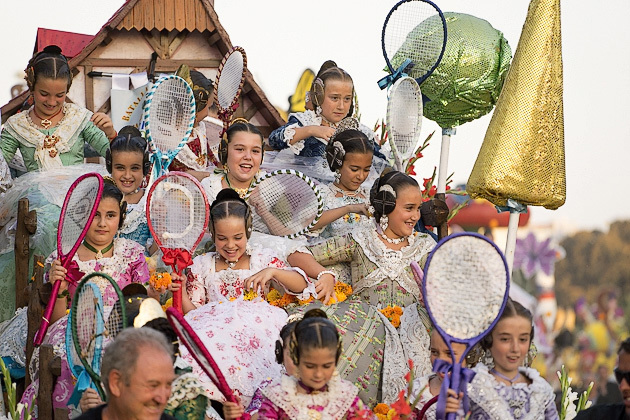 On the second loop, the girls show off the prizes which they have won, and wave their tennis rackets at the crowd. 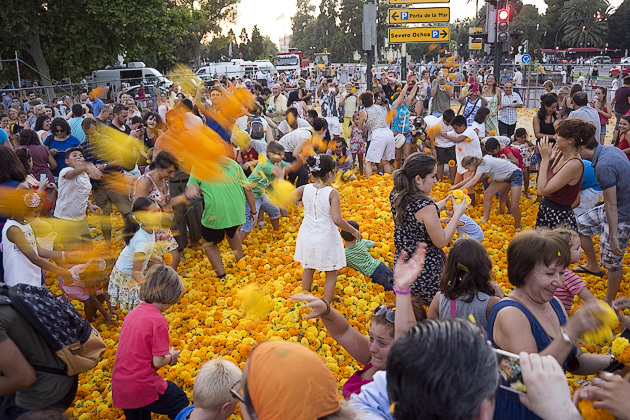 And on the third loop, all hell breaks loose. 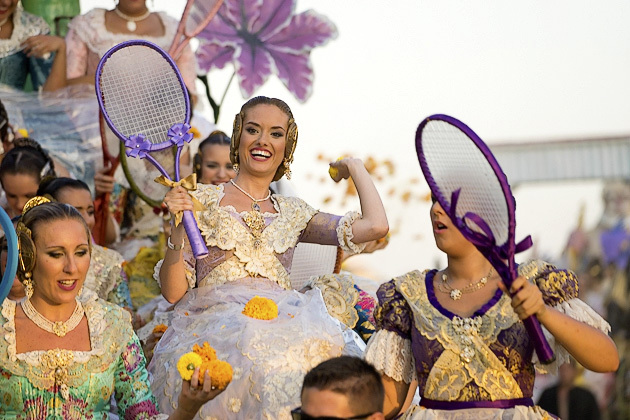 Wait… what was that about “tennis rackets”? 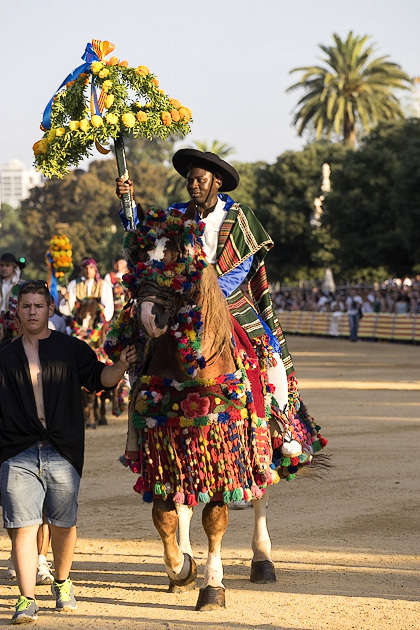 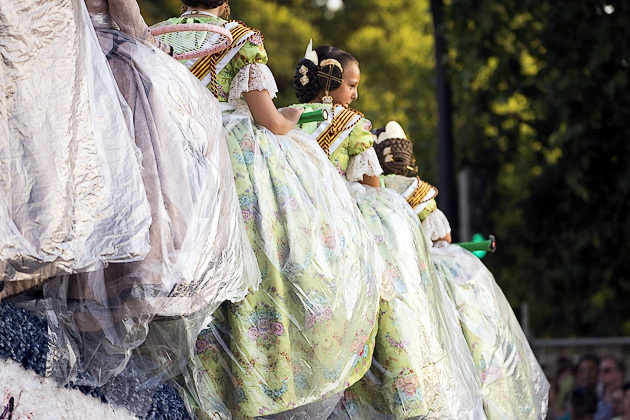 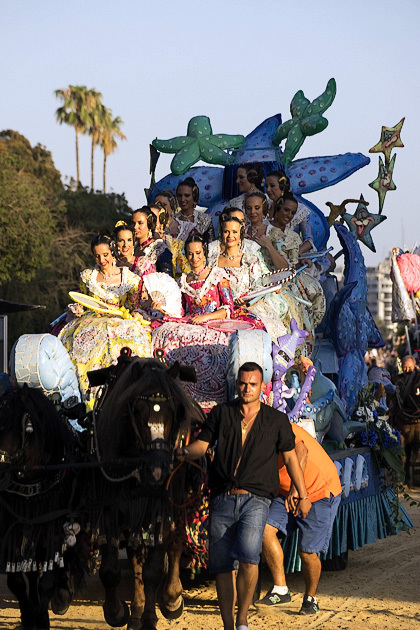 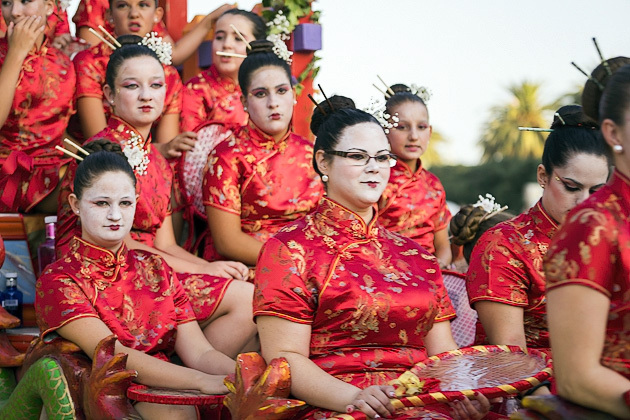 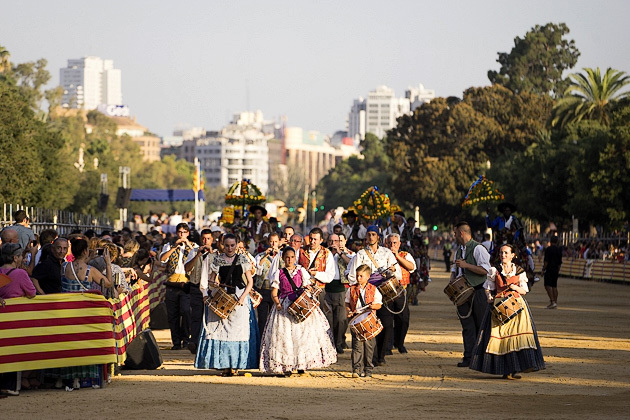 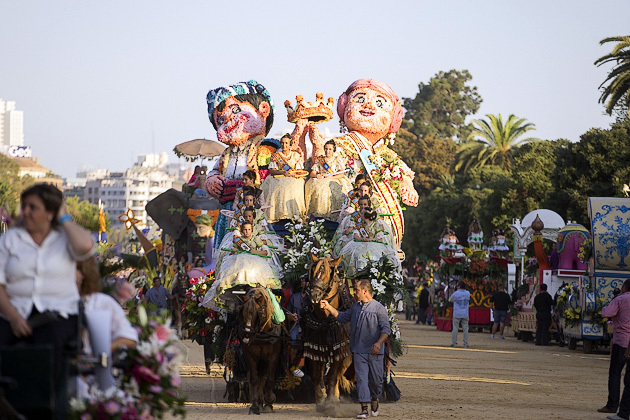 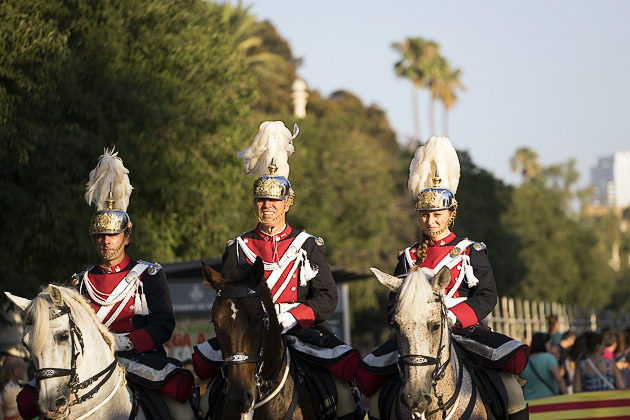 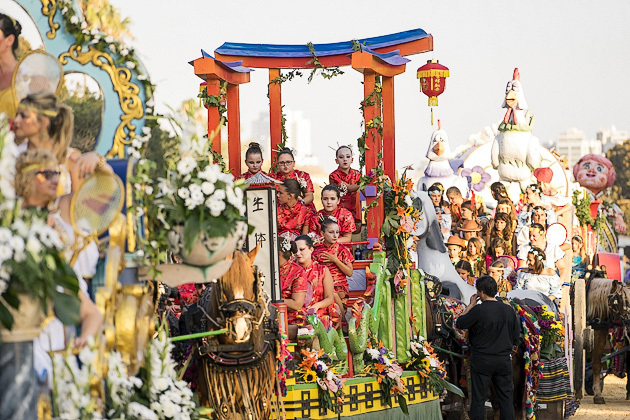 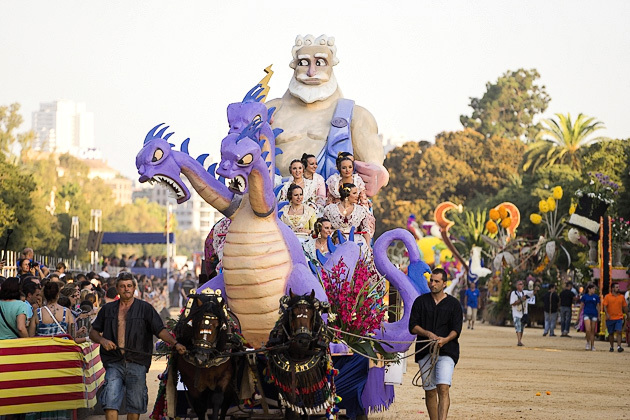 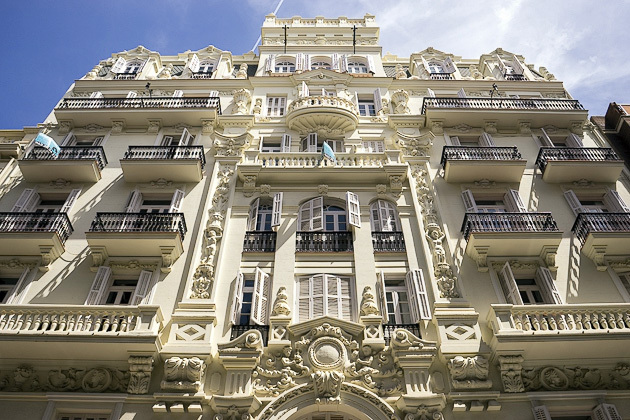 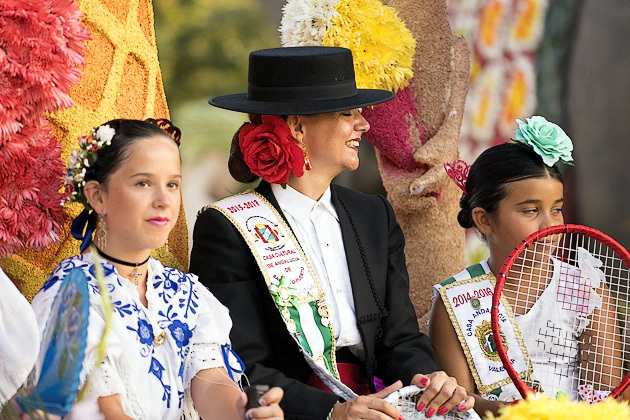 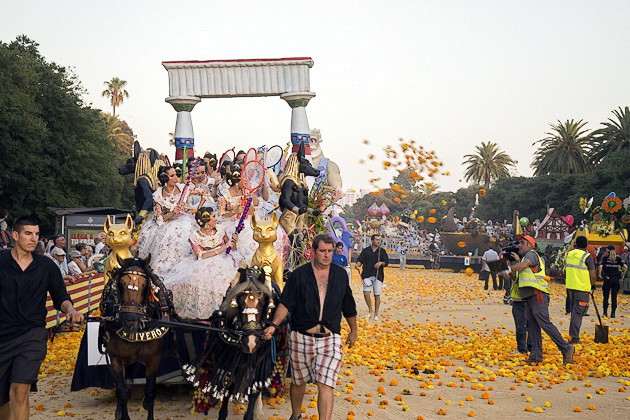 One might assume that onlookers have gathered along the Paseo de Alameda simply because they love a colorful procession, enjoy cheering on lovely falleras in traditional dress, and hope to see some interesting floats. 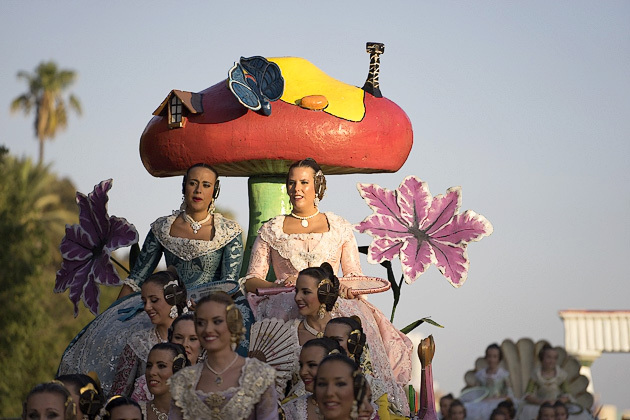 But that couldn’t be further from the truth. 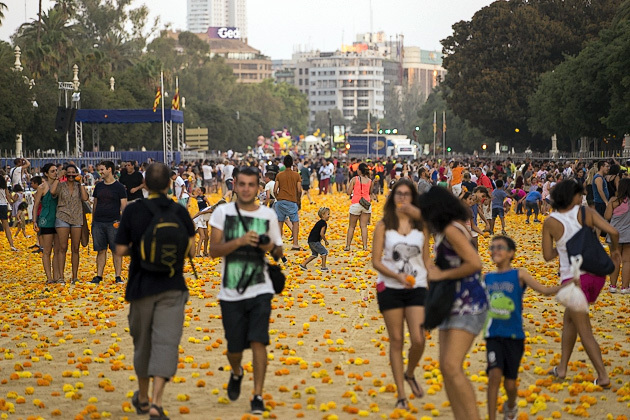 This crowd is blood-thirsty. 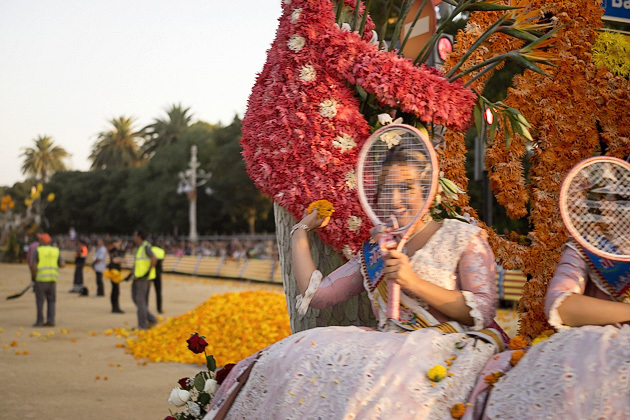 The only thing they truly want, and the one reason they’re attending this event, is to hurl softball-sized flower at the falleras, and clock them right in their pretty puckers. 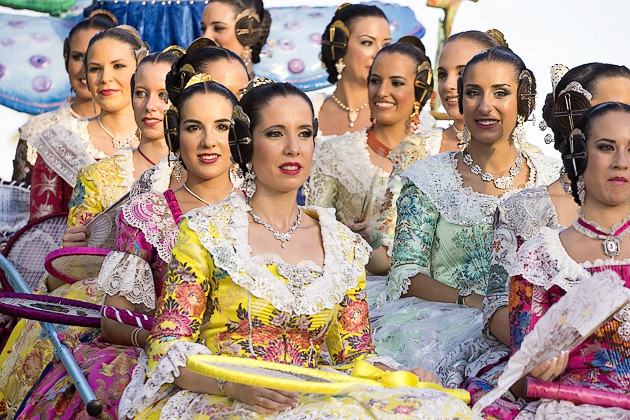 But the girls are not without defense. 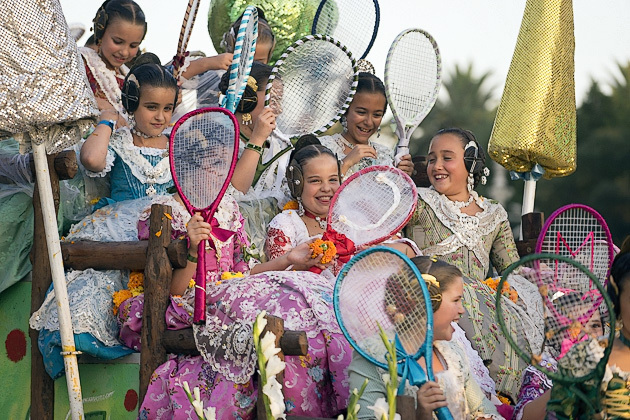 They have their tennis rackets. 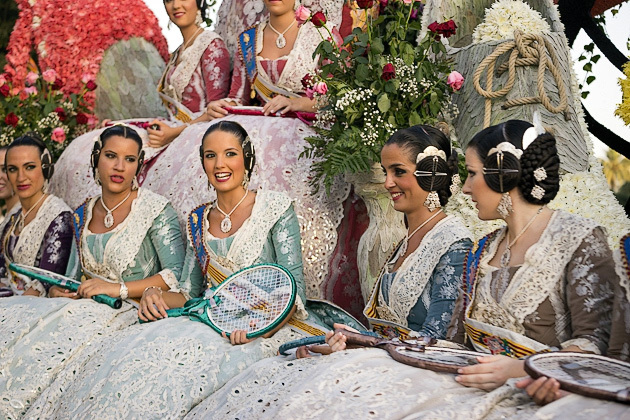 The meeker falleras will simply hold their rackets up and protect their faces. 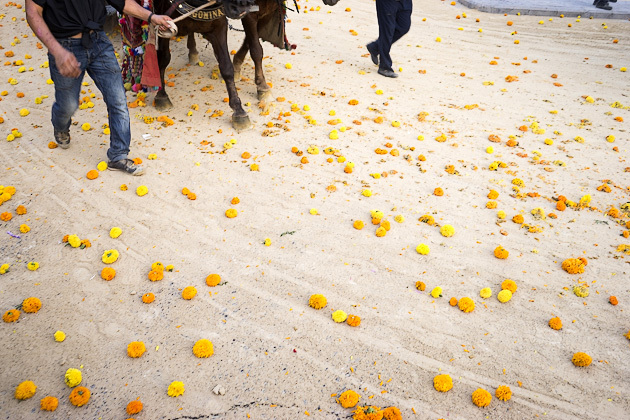 The more aggressive will smack the flowers right back at whoever threw them. 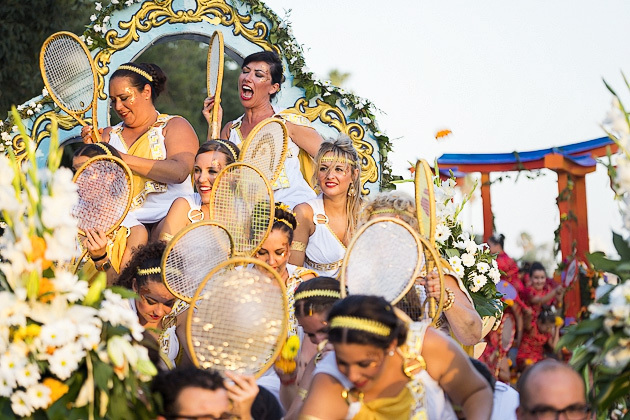 And then there are the beasts who leave their rackets to the side, stand up on the floats, catch flowers in midair and hurl them back into the crowd. 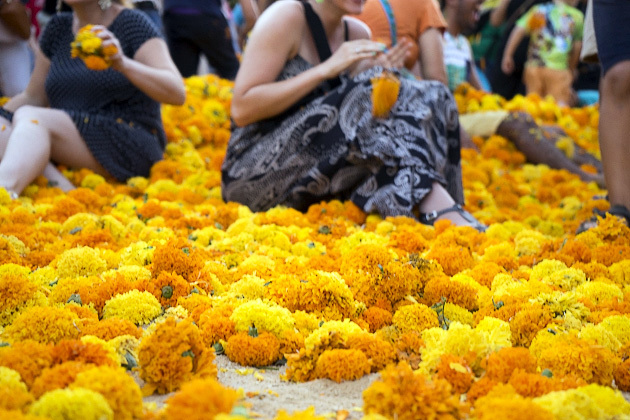 The weaponized flowers are chrysanthemums; they fit nicely in the hand and have the perfect amount of heft to them. 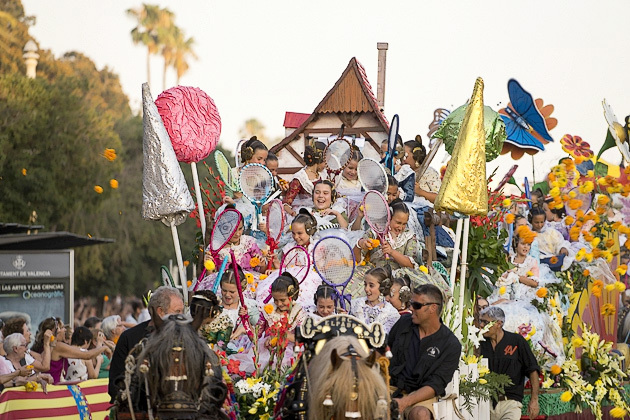 Luckily, they’re also soft, so it doesn’t hurt even if you’re hit with a line-drive to the face… and it’s likely that you will be, whether you’re riding on a float or standing in the crowd. 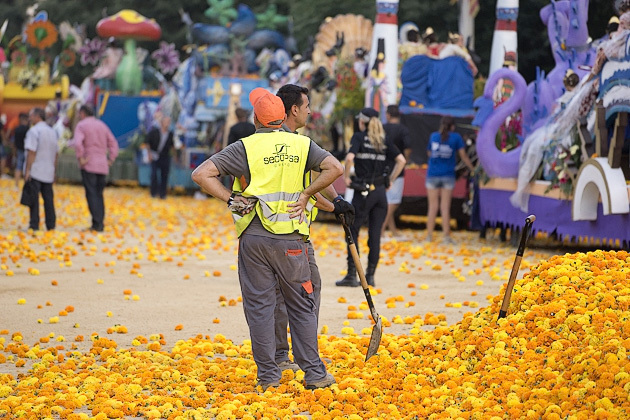 After the parade, people are allowed into the battlefield, where another colorful melee takes place. 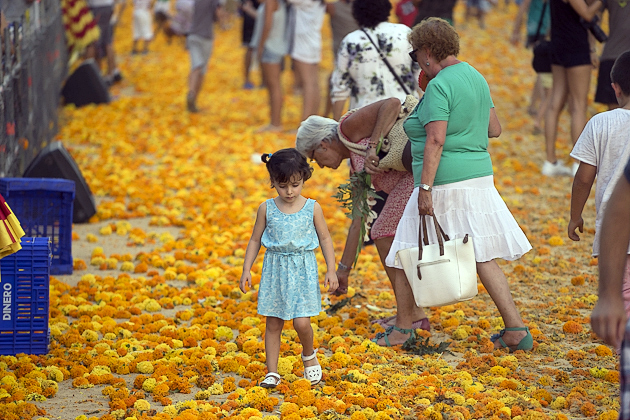 Kids, adults and even grandparents wade into the fray, scoop up armfuls of flowers, and whip them with malicious glee at one another. 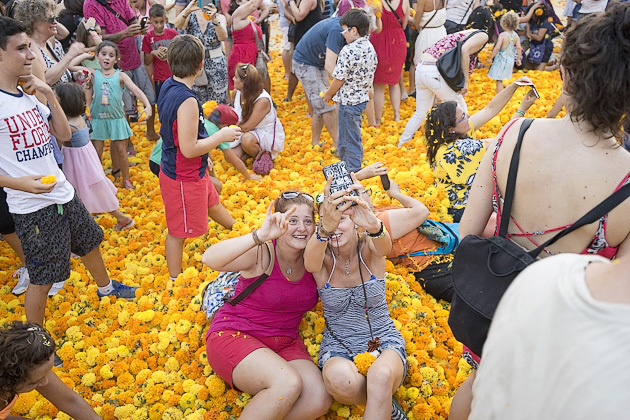 It’s an anarchic free-for-all which allows people to act like maniacs, have a laugh, and temporarily forget about the heat of summer. 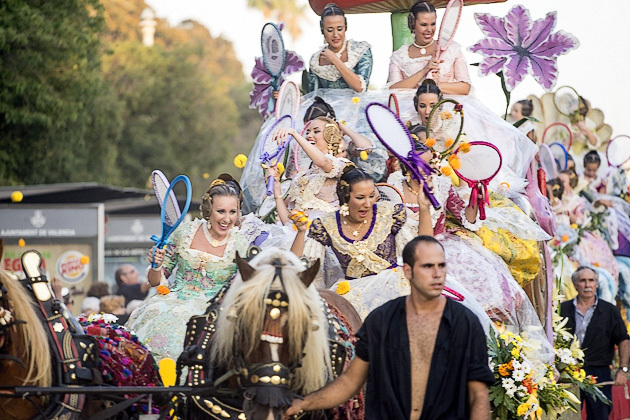 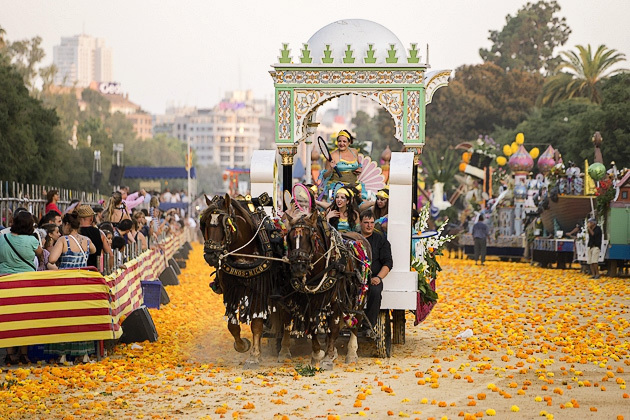 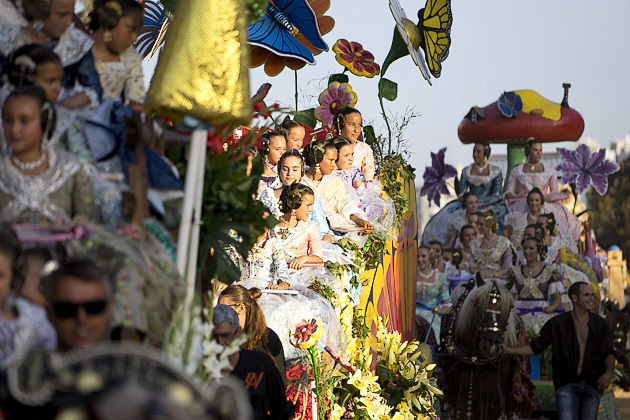 The Batalla de Flores The Feria de Julio has been celebrated in Valencia since 1871. 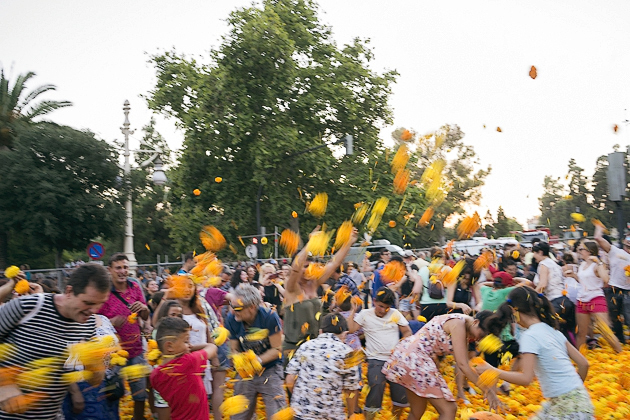 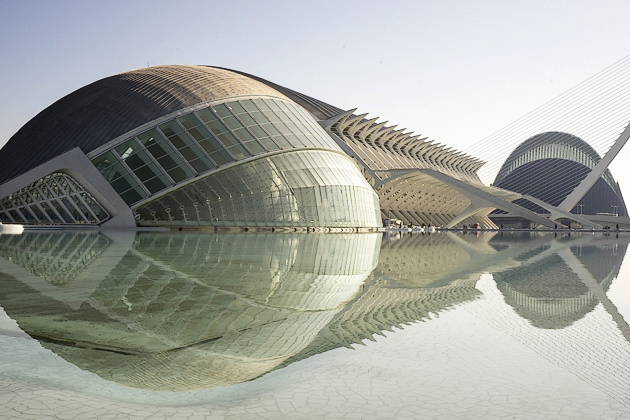 With open-air cinema, concerts, fireworks and more, this month-long festival is an attempt to convince residents to remain in the city during the sweltering summer. 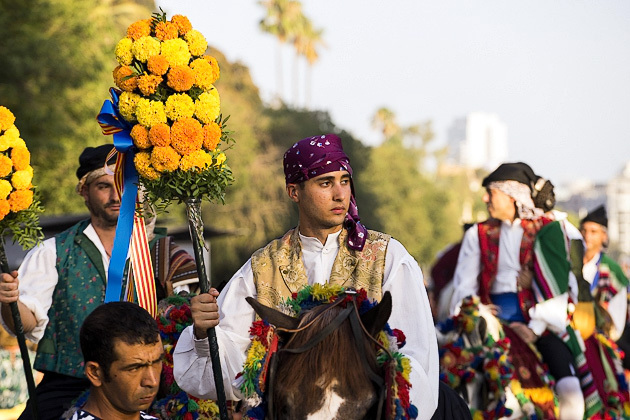 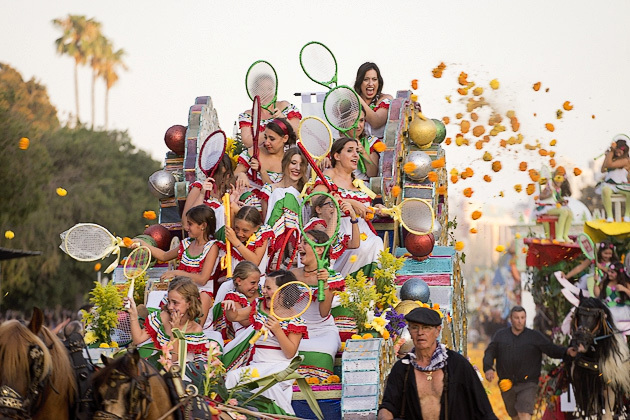 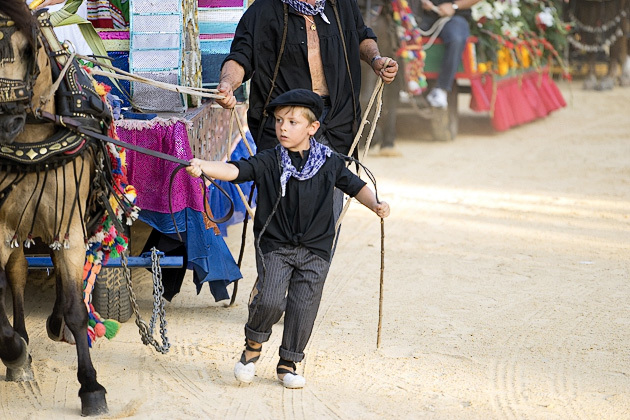 The feria's closing act is the Batalla de Flores, or the Flower Battle.